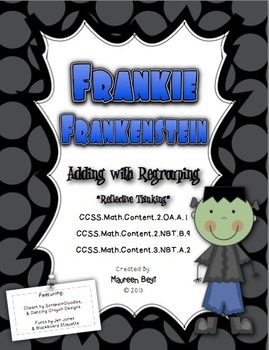 Poor Frankie Frankenstein is having a hard time learning addition with regrouping! 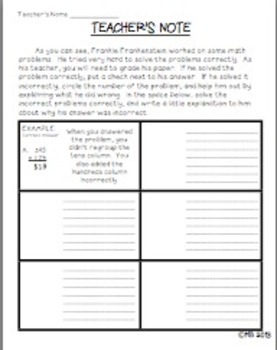 In this activity, the kids have to pretend to be Frankie's teacher and help him understand what mistakes he's made on his homework. Ties together addition with regrouping and *reflective thinking*! The problems are adding three- or four-digit by three- or four-digit. I included an answer key, but feel free to use your own wording.